HABITAT is a periodic journal corporation with Department of Agribusiness Faculty of Agriculture, Brawijaya University. This journal focuses on the area of social economic agriculture issues as well as current research on agrarian and its related concepts, namely natural resources management, analysis on policies of agriculture development, energy and food. As enrichment, every publication will present book review of current issues in the area of social economy agriculture. 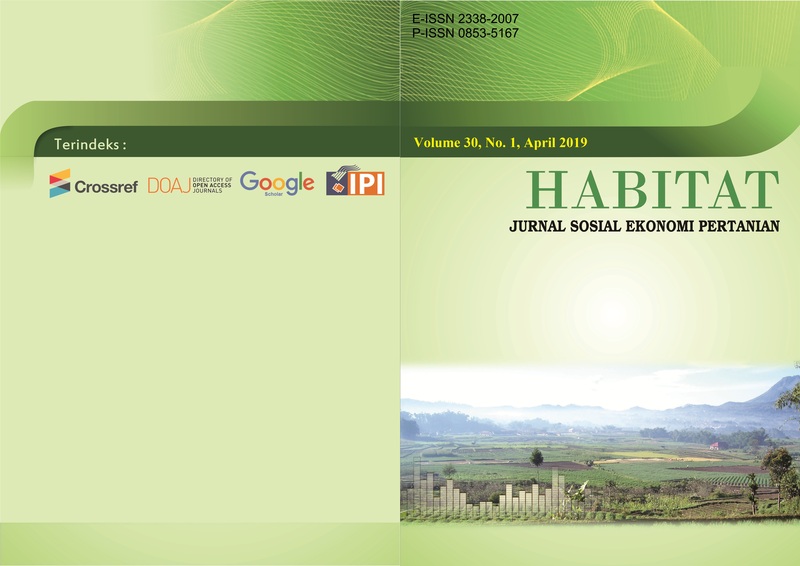 HABITAT Journal is published on April, August, and December. More information on article submission please contact us. Indonesian Publication Index (IPI), Crossref, Google Scholar, and DOAJ.